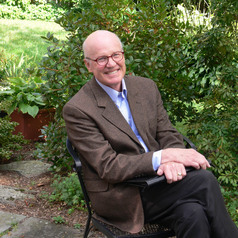 Robert Paarlberg, Adjunct Professor of Public Policy, is an independent scholar and consultant specializing in global food and agricultural policy. He received his BA in government from Carleton College and his PhD in government from Harvard. Paarlberg has been a member of the Board of Agriculture and Natural Resources at the National Research Council and a consultant to the National Intelligence Council (NIC), USAID, COMESA, IFPRI, the World Bank, and the Bill and Melinda Gates Foundation. In 2009 he presented testimony on U.S. agricultural development assistance policy to the Senate Committee on Foreign Relations. His 2008 book from Harvard University Press was titled Starved for Science: How Biotechnology is Being Kept out of Africa. His 2013 book from Oxford University Press is titled Food Politics: What Everyone Needs to Know. His 2015 book from Oxford University Press is entitled The United States of Excess. His current research on policies to improve diets and reduce cardiovascular disease is supported by NIH.